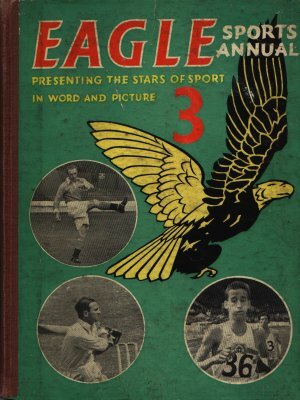 Eagle Sports Annual 3 follows on in style from the previous Sports annuals. Its introduction by Marcus Morris states that in the following pages you will be able to read about your favourite sport, and see many of your favourite sportsmen in action, and it is to be hoped that you will improve your own ability in sport as a result. Dimensions : 19.5cm x 25.5cm with 128 pages.